It wasn’t long ago that we started traveling long-term, but these 8 months of non-stop travel have taught me more about myself than anything in the past 27 years. In 2012, I became an immigrant when I moved to the US from Spain. And, although I had a couple of rough years starting from scratch, I was still in the bubble of moving from what you could consider one privileged country to another. Just a few months ago, I never thought that a hot shower, being able to use public transportation, or choosing what my next meal would be could make me the happiest woman on earth. Traveling and discovering new places is always awesome — with or without spending limits. But let’s be clear about something: traveling with a deep wallet and staying in 5-star resorts is not the same as constraining yourself to a budget and staying in sketchy guesthouses. The closer you are to the reality of a society, the more aware you are of the real struggles that billions of people are exposed to everyday. This exposure, this constraint, is what opens your eyes and changes the way you see the world. 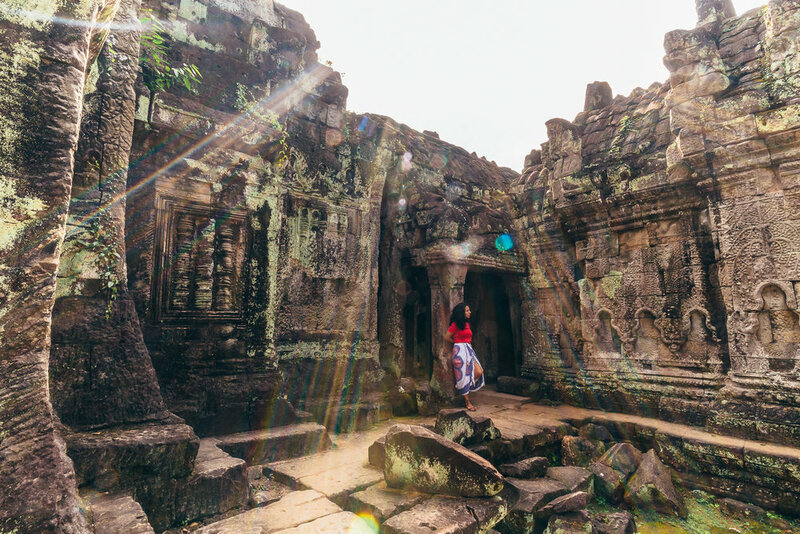 So, how does traveling make you a better version of yourself? It makes you value what you already have. Ok – I know this sounds cliche, but it is 100% true. We still haven’t visited some of the least-fortunate places in the world, but we’ve already shared moments and experiences with people who live on only the bare minimum (or less). Having enough food to eat twice a day, or having a house with real concrete walls, or not having to send your children (as a parent) walking on their own through stretches of street and land for two hours to get to school – these are things we typically don’t think about from the comfort of our sofas. Traveling and seeing different realities will make you appreciate what you have much more. Kids commuting to school in Siem Reap, Cambodia. Rain or shine, walking/bicycling for hours in the best of the cases is the day-to-day life of so many kids. You become accustomed to adversity. Although adversity and I had become acquaintances over the past few years during everyday life, being exposed to unfavorable situations in a place that you don’t know makes everything more difficult to overcome. But on the bright side, it only takes a few of these unfavorable experiences for you to start to reconsider all of the other “bad,” world-ending problems that you come across everyday. 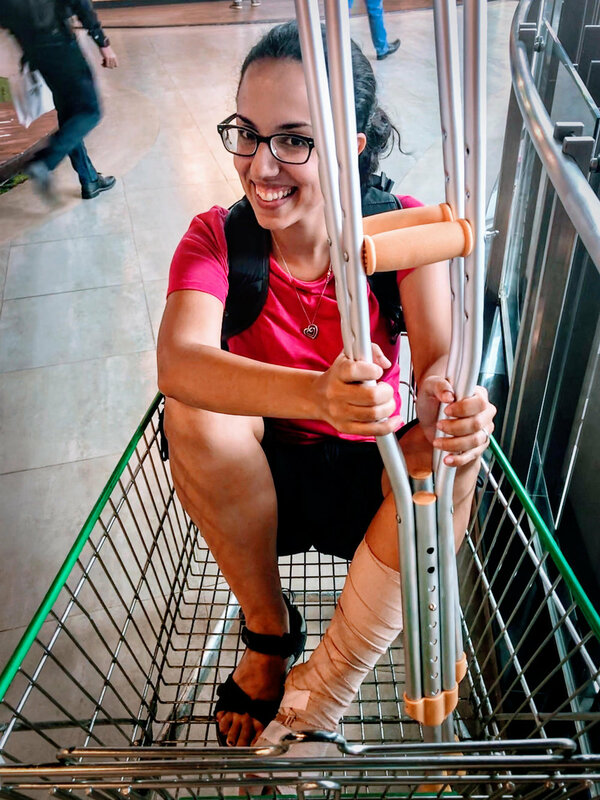 Me, trying to get a visa extension in Chiang Mai, Thailand, after injuring my ankle. This injury changed many of our end-of-year plans, and we had no choice but to embrace it and laugh at the circumstances. You’re forced out of your comfort zone. This is what makes your best-self emerge, your version 2.0. From having to quickly learn a new language for basic communication in a new country, to taking your body to its limits during outdoor excursions, to eating different (and occasionally strange) kinds of food, you'll soon realize that you're much more capable than you think you are. Trekking Mount Bromo in Java, Indonesia. You see the world as it is. Unfortunately, thinking that the world is inherently dangerous is common these days. The reality is that, when traveling, you see that there is much more good in the world than there is bad. It's natural to have the unknown create some anxiety and fear, but the only way to overcome these feelings is to be exposed to situations that you haven't been exposed to previously. Needless to say, you always need to be aware of your surroundings and employ common sense. And although it's possible that you'll live through some awkward (or hilarious) moments when traveling, most of the time you'll be positively overwhelmed with the amount of people willing to help and share incredible moments with you during your journey. I've generally never been afraid of people, but some marine creatures are the source of nightmares for me! 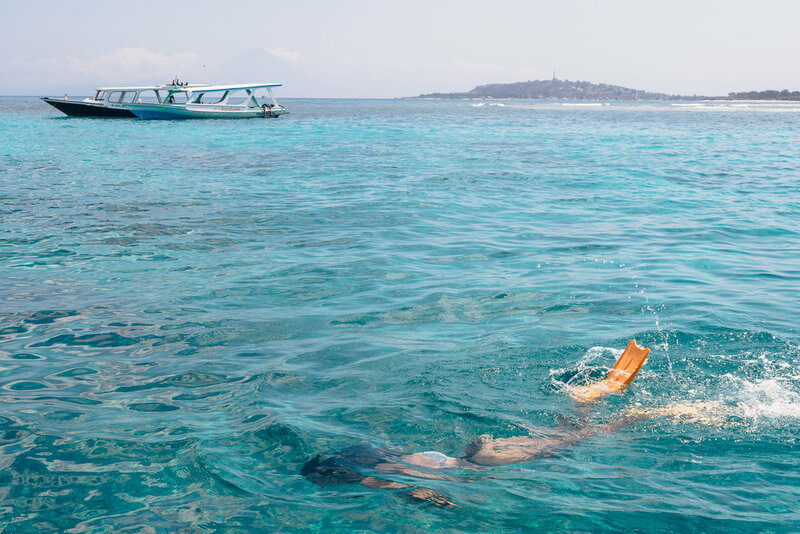 This is me snorkeling in Indonesia. You learn about other cultures and discard prejudices. We're used to thinking that our truth or reality is the only one that's valid – that it's the only one that matters. And, most of us have hidden prejudices that we acquire while growing up, sometimes without even knowing it. When you're exposed to new cultures and ways of seeing life, you improve on three important life qualities: you become more tolerant, more humble, and better at listening. While traveling, people from every corner of the world and every religion under the sun will surprise you, constantly. You will receive help and kindness from whom you least expect. Talking with Lina on one of her breaks after a really long day of work selling sarongs in Lombok, Indonesia. I've always said that travel is within everyone's reach, but I wouldn't dare make that statement anymore. Not all of us are born with the same privileges and tools necessary to turn life into a boarding pass. However, chances are that if you’re reading this article, you’re probably one of the privileged ones – something that we can all be grateful for. So, take this privilege and use it to discover, to learn how you can contribute to the world, and at the same time, become a better version of yourself!